Anyone who has the pleasure of traveling Colombia extensively will be amazed by the biodiversity to be found within its borders. From the snow-capped Andean peaks in the coffee region, half a days drive in any direction can reveal thick jungle, tropical rainforests, white sand beaches or marshland, teeming with enough colors, wildlife and animals to fulfill any botanist or naturists wildest dreams. 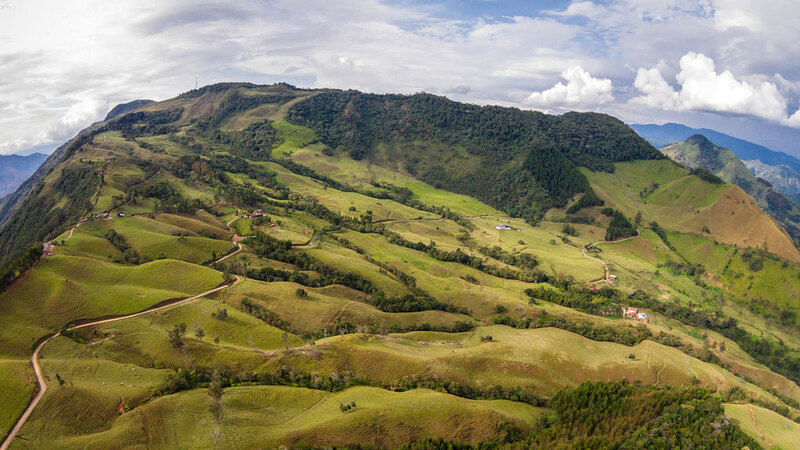 As a nation with so many precious natural resources, the government of Colombia has initiated a series of policies to preserve biodiversity and protect the environment and have been internationally recognized for their efforts. However, government action is not enough to ensure eco-sustainability in the future. The change needs to come from the citizens themselves. A number of organizations worldwide – and homegrown within Colombia- have created products, ranging from smartphone apps to card games to try to educate and inform people about steps they can take personally to live more eco-friendly lives. In September 2015, the United Nations will release its Sustainable Development Goals. After two years of debate and discussion, member nations have finally agreed on seventeen goals to improve many aspects of global wellbeing, from keeping the oceans clean to the use of natural energy sources. However, while government’s participation and cooperation is important, a recent World Economic Forum report argues that the biggest challenge facing governments is educating their citizens about the importance of conducting their lives in a more sustainable, eco-friendly manner. “The Sustainable Development goals will fail unless every man, woman and child on this planet is aware of them. Seven billion people need to know about them. This makes the goals the biggest marketing job in history.” Said Owen Gaffney Director of Global Strategy, Stockholm Resilience Centre. A global grassroots tech movement, led by scientists and other environmentally conscious people has begun in Colombia and aims to spread information about eco-sustainability and first-hand actions that everyday citizens can take to be a part of positive change. Switzerland-based startup Sustainability Compass have recently partnered with Diseño Sostenible Colombia to promote products aimed at informing people how their behaviour and habits can have negative effects on the environment, and how they can make positive changes. Sustainability Compass have recently created a Spanish language version of their sustainability app, to try to reach a wider audience in Latin America. The Android and iOS app urges users make more sustainable decisions – ecologically, socially and economically by planning out their sustainable “Projects”, whatever their scale. Whether it is a DIY project being undertaken at home, planning a family holiday or undertaking a larger scale development project, Sustainability Compass aims to educate users by applying four key drivers from a range of categories — including Chemicals, Connectedness, Fairness, Fossil Fuels, and Health, and allow them to think about the possible repercussions that bad planning could have on the world around them. The Swiss organisation has also released a deck of Sustainability Cards with the same content, which can be downloaded and used offline, and people can play a game with, as a means of making educating people about sustainability a little more fun. Their Colombian partners Diseño Sostenible Colombia have chosen a similar way to spread their message. Aimed at producers from all backgrounds, DSC have created the o:eco card decks to try to educate people about eco-friendly design strategies which can be used to produce products with minimal waste, and using sustainable products when possible. The deck consists of 30 eco-design strategy cards, divided into 6 stages: extraction, production, assembly, packaging and distribution and use and disuse with a range of different strategies that can be followed for each. This April, Primavera Fest, a two-day environmental sustainability festival, complete with live music, healthy food and eco-conscious workshops, comes to Medellin’s Botanical Gardens for its second year, and aims to educate visitors in how they can modify their lifestyles and habits to contribute to positive change. Plans have been announced to build the largest eco-theme park in South America in Colombia’s coffee region, to be completed in late 2015. Pereira, the capital of the central Colombian state of Risaralda, will host the proposed “Pereira Flora and Fauna Theme Park,” an ecological haven and “bio-park” that will feature regionally themed animal and plant exhibits and place a prominent focus on environmental conservation and education, aimed to educate the new generation about the importance of looking after the world around us. Bogota and Medellin local governments have been involved in recent campaigns to promote green-transport options, and advertising the benefits to people’s health and the environment that can be seen in using bicycles and shared public transport, rather than privately owned vehicles. Colombia’s capital Bogota is becoming increasingly bicycle-friendly and now has 13 stations of its mass transit bus system equipped with free bicycle parking spaces. In Bogota, Cali and Medellin, streets are closed to motor vehicles every Sunday and on public holidays for Ciclovia, when cyclists can take over some major roads without fear of being affected by traffic. Medellin was recently voted the second most sustainable city in the world by ConexionVerde, a well-known eco-sustainability blog, for its efforts to improve public transport, free bike parking, and the initiation of the “Share-your-car” programme. The city of Eternal Spring was also awarded the 2012 Sustainable Transport Award, alongside the city of San Francisco by the Institute for Transportation and Development Policy. While it appears that steps are being taken in the right direction to educate and inform the Colombian public about the importance of sustainability and eco-friendly behaviour, change cannot come about from the actions of a small minority of green-minded people living in the major urban hubs of Bogota and Medellin. With strategies such as festivals, theme-parks, phone apps and informative playing cards more and more people may come into contact with positive ideas for change, but activists and organisations have a long struggle ahead of them to change the collective mentality worldwide. Government backed education from a young age, and continued reinforcement from creators and organisations such as Sustainability Compass through technology and the media make a positive first step in what will be a long march to global cooperation and change.